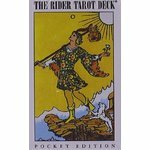 Russ Ross employs his training as an astrologer with his decades of tarot experience to provide comprehensive, yet concise predictive readings. He employs his understanding to offer students a simple, no-nonsense approach to the tarot system. By day you can find him hiding behind the lens of his camera as he shoots some of New York’s finest commercial and residential properties. Together we’ll begin to unpack the mysteries and intuitive insights available through Tarot. We’ll not only explore the foundational meanings of all 78 cards, we’ll also discover their hidden astrological links. Incorporating these dynamic layers of meaning can trigger powerful insights into your daily life. This class is ideal for both beginners as well as those with a basic understanding of Tarot who long to deepen their experience.